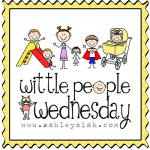 Welcome back to Wittle People Wednesday. I have a huge kink in my neck and shoulder so I’m going to write this post as quickly as possible. Ouch. I could use a good massage – anyone want to come over and rub my shoulders? Anyone? Please? Ah well, it never hurts to ask. I should also mention that your “wittle ones” can include your own children, nieces, nephews, grandchildren and/or clients…as long as you were the one holding the camera. Actually, I thought today’s post would include a few of my wittle clients, but I’ll have to save that for next week since we rescheduled our session. With that, I’ll hush and get to the photos. Unfortunately, there are weeks where I don’t pick up my camera much. 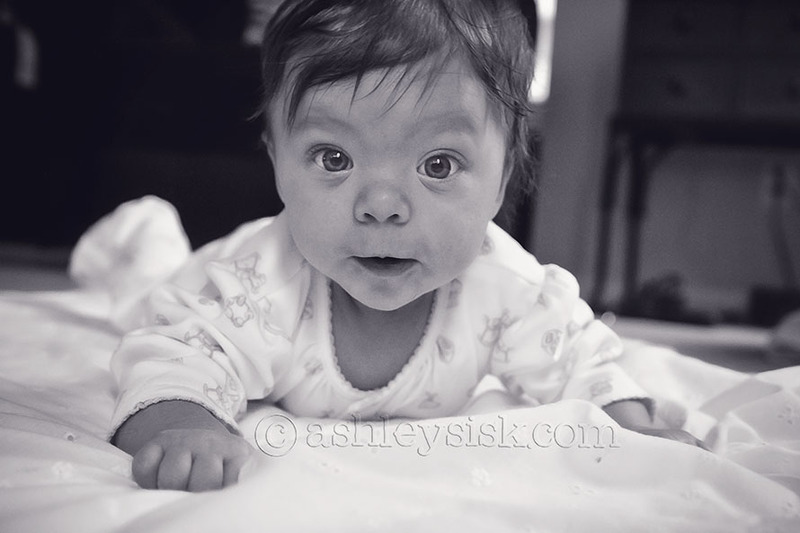 It’s those weeks that Wittle People Wednesday really creeps up on me and I force myself to take a few new photos. This week was one of those weeks. With that said, I can always count on my baby to give me a sweet look when I lay her down for tummy time. She just loves it. So what if I don’t have a lot of light, she’s adorable! The other thing that always makes for a good photo is mirror time. She does love to look at herself in the mirror. 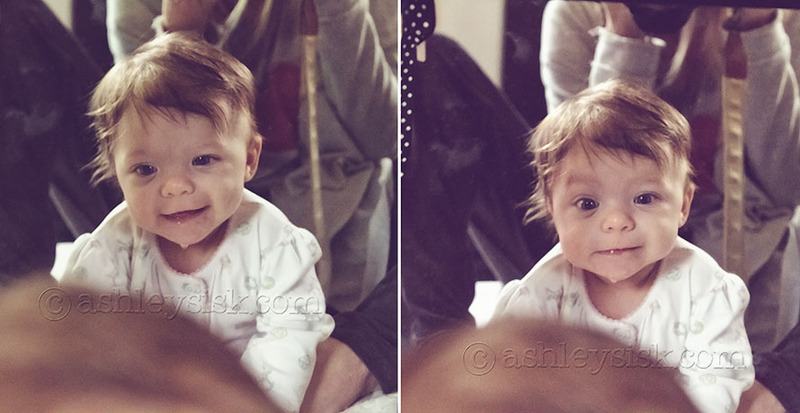 Even better, she loves to look at herself in the mirror while on her belly. So that’s all. I’m going to rest my back. Maybe I’ll have a chance to visit your blogs this week. We’ll see.